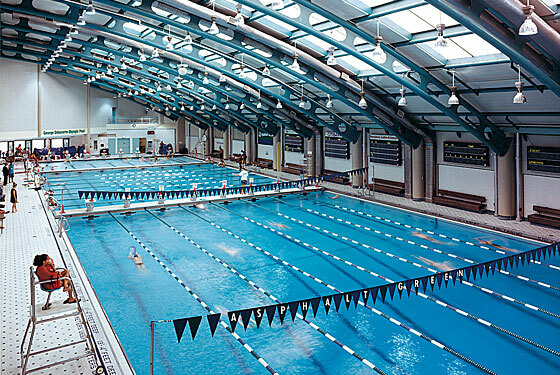 Swimming with Stanley Isaacs is a program with New York Cares that takes place at the Asphalt Green Center in NYC. The program is designed to teach and encourage children to swim. I have loved to swim my entire life (and consider myself a good swimmer) so this program was a great fit for me. On the day I volunteered there were about 15 children and 7 volunteers. Soon after I arrived, I jumped in the pool and got to work. I was paired with 4 boys in the shallow pool with various swim levels. We first started with some kicking drills with a kick board, which then quickly evolved into fun relay races. After a while, I took the 2 stronger swimmers into the deep end. I encouraged both of them to swim laps and supported them along the way. They both were quite impressive, especially considering it was one boys first time in the deep end! After a few more games, we got out, dried off, and headed to a pizza place around the corner (I also consider myself a good pizza eater 🙂 ). I had a great time volunteering and am looking forward to taking part in this program again. I have mentioned it before, but I will say it again…Volunteering does not have to feel like a chore and can be a lot of fun! Great Deed you may have helped save someone from drowning in the future.